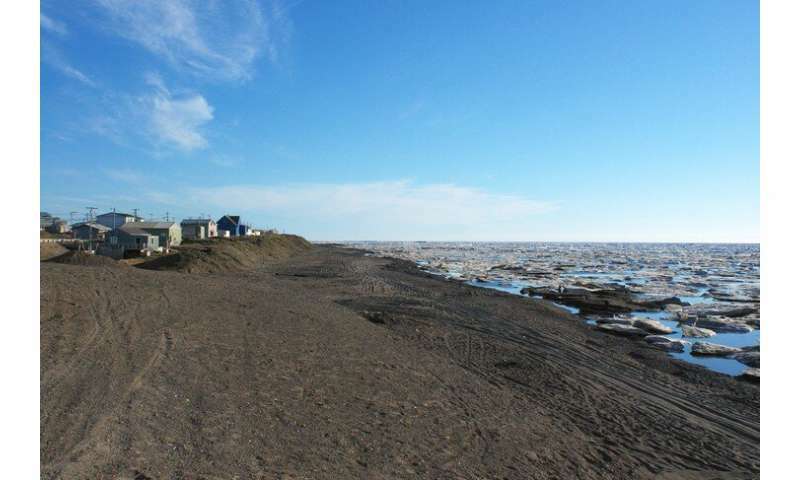 The remote town of Barrow, Alaska, home to more than 4,000 people, touts picturesque views of the Arctic Ocean as well as an unparalleled connection to the Alaskan wild, but underneath its stunning beauty lies a major global crisis—permafrost coastal erosion—causing Barrow to gradually slip into the sea. The Arctic is warming twice as fast as the rest of the planet, causing ice to melt and sea levels to rise, according to "Snow, Water, Ice and Permafrost in the Arctic (SWIPA)," an update to the Arctic Climate Impact Assessment. This rise is threatening the entire town of Barrow as well as the surrounding communities. In fact, it has gotten so bad that former North Slope Borough Mayor Edward Itta called Barrow "ground zero for climate-change science." "We know that permafrost coastal erosion is happening and the effects it's having on the towns and indigenous people," said Xiao. "And a solution is imminently needed." "In some places the erosion was as much as 80 meters a year," said Xiao, citing recent studies. "That means 80 meters of land permanently lost to the sea. Since many villages are located by the coast, there are homes in the towns that are being threatened, and some houses are literally collapsing into sea." The cost, including infrastructure, to move and relocate the people is estimated in the billions, Xiao said, and will cause fundamental disruption to the Iñupiat people's lifestyle, which has sustained for more than a thousand years. These communities' livelihood depends on fishing, regularly harvesting walrus, seal, whale and fish for food. Currently, the town's only defenses against coastal erosion are sandbags and gravel. "Millions of dollars have been spent in Barrow alone to reduce the coastal erosion," said Xiao. 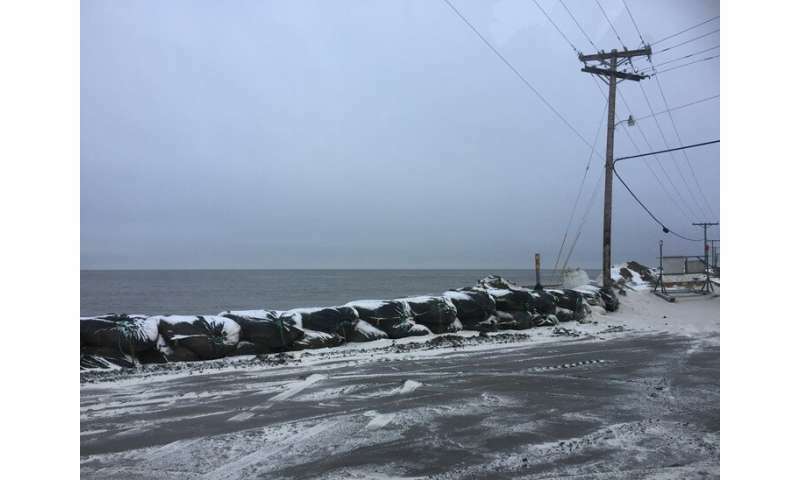 "The sea ice can easily destroy all the erosion control. … This is a losing battle." 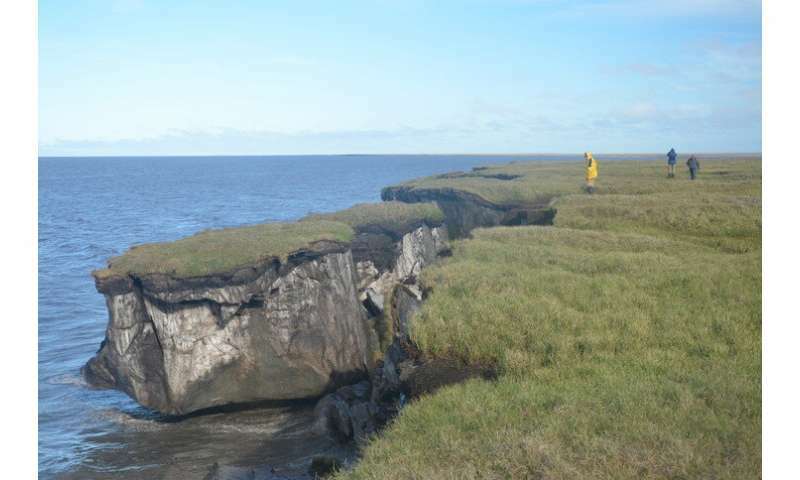 "Permafrost coastal erosion has been studied for decades, but they've been studied in a siloed way," said Xiao. "Some study the ocean sea rise, some study the permafrost, some study the birds, some study the social issues, but this is a systematic problem. People need to come together to talk about it."